Home › Iranian Politics › Hassan Rouhani › Is ‘Chicken***gate’ Actually A Signal To Iran? Is ‘Chicken***gate’ Actually A Signal To Iran? You might think “chicken****-gate,” as the latest US-Israel crisis has been dubbed, isn’t really about Iran. This is really about the peace process, right? Wrong. In Jeffrey Goldberg’s article on The Atlantic exposing the disparaging remarks made by senior Obama administration officials regarding Israeli PM Netanyahu, it was apparent that Iran was at the center of the deep ideological split between the two erstwhile friendly nations. Vox also suggested that the move – with or without the profanity – may have been intended as a signal to Iran. 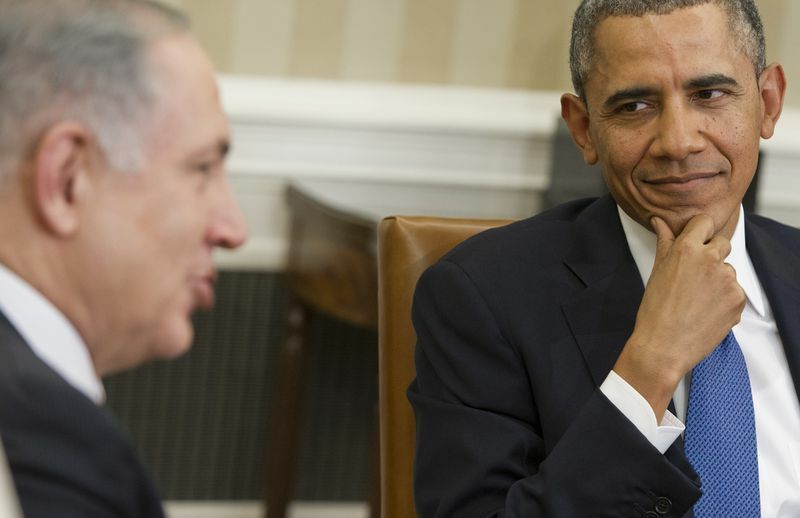 The news site’s Zack Beauchamp wrote that by calling Netanyahu a coward, the Obama administration may have been trying to tell Iran that it no longer believed Israel was a threat to the Islamic republic – meaning that it could go ahead and make a deal with the West without fearing that a cowardly Jerusalem would do anything if it threatened it. Speaking of a deal, though experts say the deadline may be postponed once again, the media is already looking ahead to the day after it is signed. Foreign Policy guest columnist Suzanne DiMaggio’s vision is optimistic to a fault, imagining only “minor missteps” on Tehran’s part in implementing the agreement and with Iran and the US harmoniously wielding their leverage to spread the love in the Middle East. And, lo and behold, Khamenei approves too! But wait, what about Israel? It’s still there in 2025, writes DiMaggio, and still worried, because oh yeah, Tehran continues to support designated terrorist groups such as Hamas and Hezbollah. Why wouldn’t Netanyahu climb this stairway to Heaven? And how, exactly, is his refusal to do so cowardice?